This weekend was my baby girl’s 6th birthday. As we count down the days to the end of kindergarten, I am also counting down to the first time in 18 years that I will have all of my children in school all day. So what is more fitting for the birthday of my last stay-at-home-at-least-part-of-the-day child than a party full of apron strings (that I’m longing to keep tied) and butterfly wings (that she is yearning to open and fly). So we planned a “Cooking Party” for 6 little girls, complete with hand-sewn aprons, chef hats, and a make-your-own menu of mini pizzas, fruit kabobs and butterfly cupcakes. 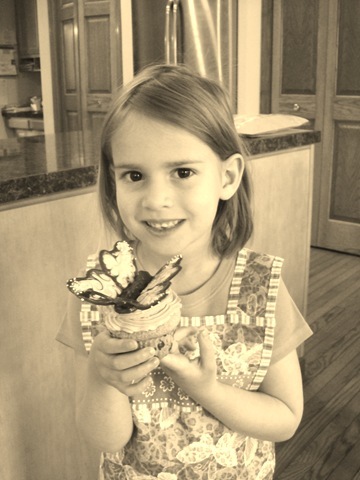 Our butterfly cupcakes, inspired by Annie’s Eats. 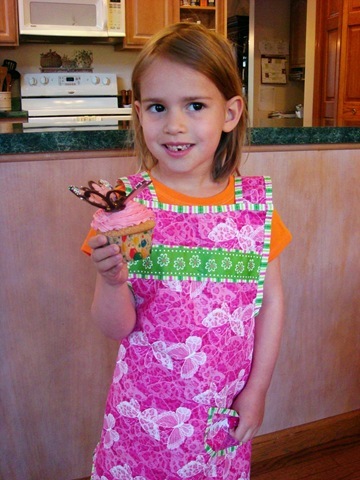 Little J modeling the apron she helped design and make. And if you look close enough, you can see (or not see) the first tooth that she lost on the night of her birthday! — All of my love to my sweet Little J, who is growing into such a lovely young lady! As you stretch your wings and fly, I hope you never completely forget those apron strings we tied together. 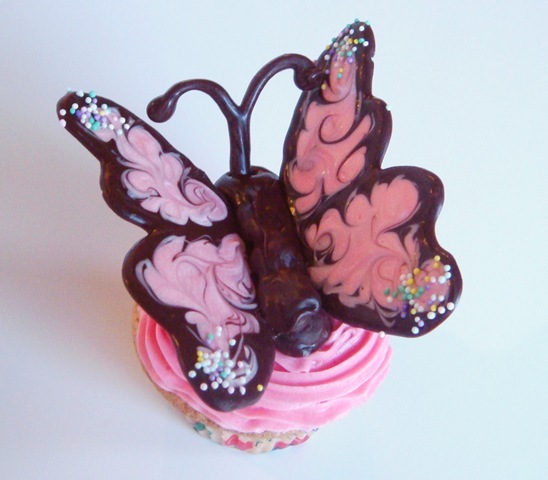 Tomorrow: a tutorial on how to make Butterfly Cupcakes, plus a totally delicious cupcake frosting (from someone who picks the frosting off of just about every cake around). Such a beautiful post!!! On so many levels! Kelly-this is so creative and perfectly executed. Those butterflies! Oh my! 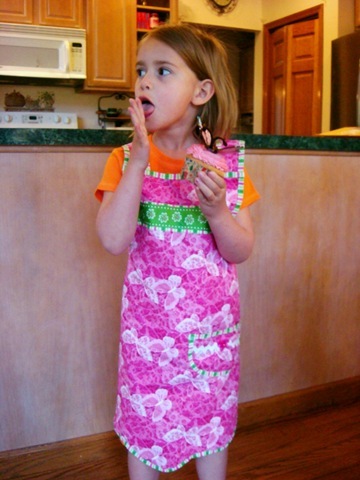 Obviously you’re pretty handy with a sewing machine–that apron is just too precious! Thanks for stopping by Simple Bites and sharing your link. It is truly inspirational! 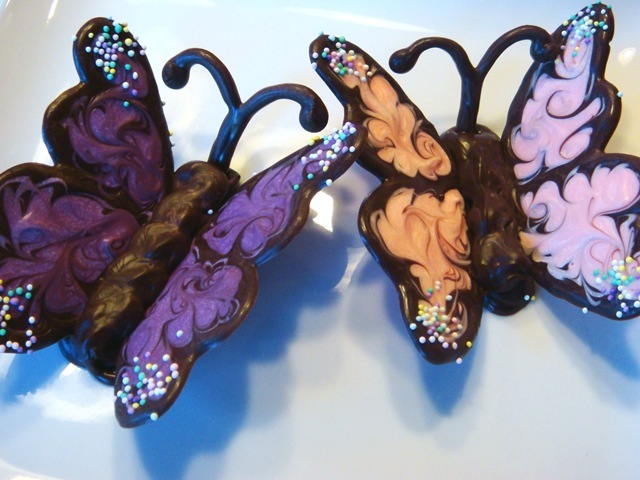 Love the apron and chocolate butterfly!